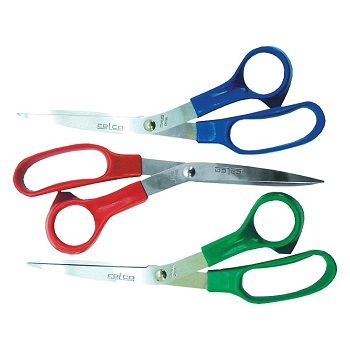 Value pack of Economy Scissors for everyday use. Stainless stel blade construction with assorted colour plastic handles. Ideal for the home or office for light to medium use. 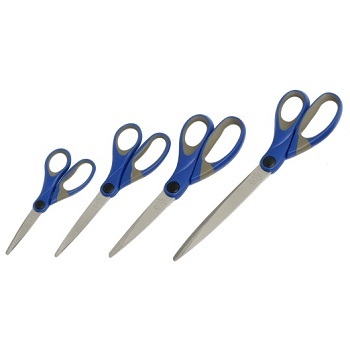 Pack of 3 pairs of scissors. Ergonomically designed handle with soft, comfortable cushioned grip. Stainless steel hardened blades with precision-ground cutting edges. BEST SELLER. 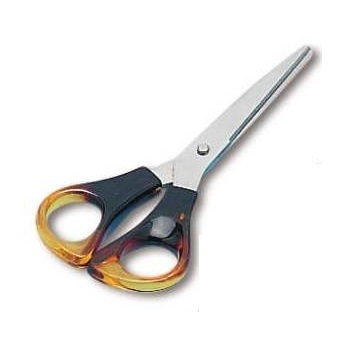 Economy Scissors for everyday use. Stainless steel blade construction with orange plastic handles. Pair - Available in a choice of sizes. 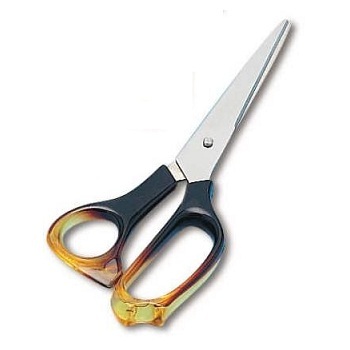 Stylish design Soft Grip Scissors give added comfort. Super sharp stainless steel blades allows accurate and easy cutting. Precise ground blades for extreme durability. Rust resistant. Suitable for office or household. Pair - Available in 180 mm size. 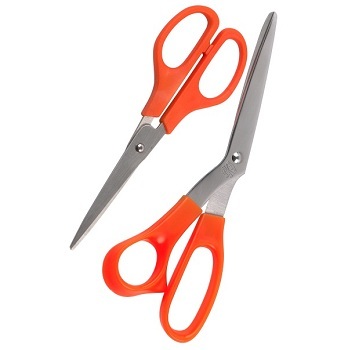 Strong & Durable Scissors for everyday use. Stainless steel blade construction with amber/tortoise shell plastic handles. 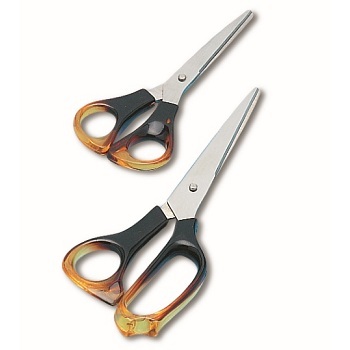 Premium quality scissor made of heavy gauge stainless steel blades with a strong, durable edge. 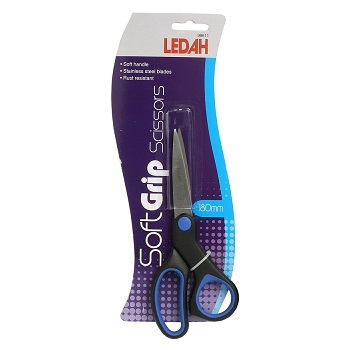 Comfortable, moulded grip handles for effortless, easy cutting. Blades are corrosion-resistant. 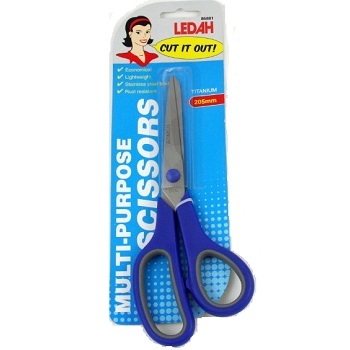 General purpose scissors, suitable for cutting light cardboard, paper, tape, cloth and many other materials in the office or home. Pair - Contemporary Blue colour. Scissors specifically designed for left-handed users. Comfortable moulded grip, stainless steel blades.